Unshackle yourself from your desktop or your laptop…Go Mobile!!! 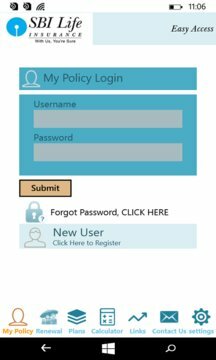 SBI Life Easy Access packs the utility of your neighbourhood SBI Life branch into the convenience of a mobile app for your phone. 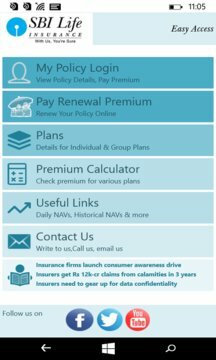 - View your policy details. - Pay your renewal premium online. - Browse through SBI Life’s range of insurance plans and calculators. -	Write to us your queries. - Drop us a line, call on our toll-free number, and visit one of our branches. - Send details to get appointment with advisor.